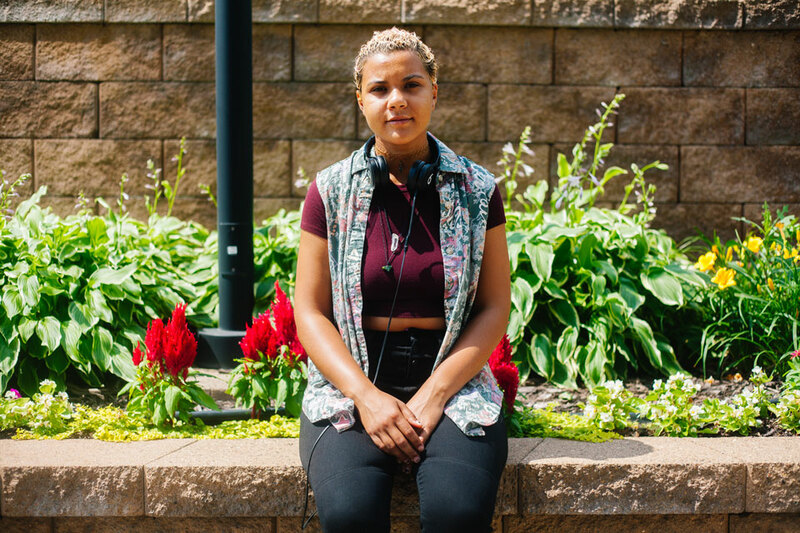 Changemakers is a series that profiles young people who are making radical changes in communities across Minnesota. Rochelle Lund and Nadia Linoo are two Research Associates that create YPAR curriculum, help facilitate trainings and support the Youth Research Network as a part of Youthprise’s YPAR team. 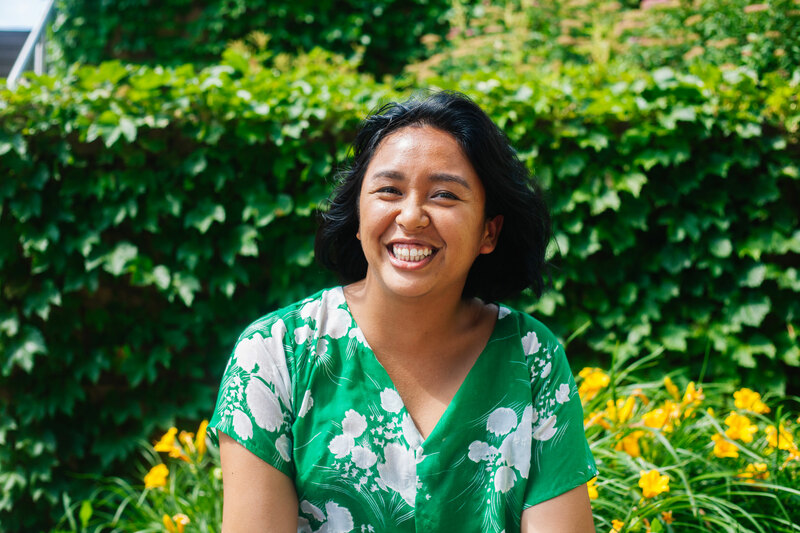 As Nadia describes it, YPAR "is a youth-led research model that takes the power back from the traditional research dynamic and shifts it back to the young people and their communities." Nadia and Rochelle are currently working on two food justice YPAR projects in Cottage Grove and North Minneapolis that center local youth in working on food justice issues in their community. The research project in Cottage Grove will determine how the free and reduced meal program has impacted members of the South Washington community. The second research project in North Minneapolis will inform us of the local community food systems so that Youthprise can implement more sustainable practices in North Minneapolis within our Nutrition Program. Learn more about their dynamic work here. Nancy Musinguzi: This series is about young people making change in their communities. Can you start out by telling us a little bit about yourself and the work you do to make change? My name is Rochelle Lund, I’m 20 years old, and I am an artist, activist and researcher. I make change by creating new worlds through different perspectives in my collages, other fine art pieces and music. I love working with other young people and learning about what works and what doesn’t. We have way more influence and power than a lot of folks want you to believe. My name is Nadia Linoo. I am a young Burmese and Indian Muslim cis woman. I am also a child of immigrants, sister and caretaker of a brother with autism, and aspiring plant mom. My experience consists of a degree in Child Psychology, organizing on the UMN campus with Whose Diversity? (a social justice collective), and then working with immigrant and refugee youth in the Saint Paul area. I am now a contract research associate at Youthprise, who also does freelance photography/design on the side. My website is nadialinoo.com for anyone interested! My current work is centered around Youth Participatory Action Research (YPAR), which is a youth-led research model that takes the power back from the traditional research dynamic and shifts it back to the young people and their communities. We are facilitating a project in the Cottage Grove area regarding food justice - specifically looking at how the free and reduced meal program has affected members of the community. Based off the experiences they share, community input, and a community design workshop, we will co-create solutions and strategize on how to make them a reality. Don’t be afraid to be radical. Change only comes from those who stray away from the norm. NM: What brought you to this work? RL: I used to work at Juxtaposition Arts, which led me to yPAR research, which then led me to working at Youthprise. What brought me to this work is my interest in dismantling the capitalistic, cis, white, heteronormative system we live in. I hate how things are and I wish they could be different, so my work revolves around trying to create new realities where the people at the bottom can be at the top. NL: Irina Barrera (co-conspirator with Whose Div, Research Director at Youthprise, and dear friend). If she did not refer me, I am not sure I would have gotten a foot in the door otherwise. Youthprise initially offered me an opportunity as a photographer for a YPAR project taking place in North Minneapolis. As I was documenting their sessions regarding student-centered learning, I found myself getting more involved in their planning process and loving it. It directly challenged everything I disliked about my experience at the University, problematic curriculum in my major, and with research in general. NM: Can you tell us any specific things that you would like to see changed? How can other people support that change? RL: I would like to see black queer youth getting paid for the creative work they do. Including performance and visual arts. Others can support by giving us opportunities to be ourselves. People in the local scene deserve more credit than what they are given. NL: I want more sustainable positions and opportunities for youth to be available, not just one-offs that look good on a resume or job application, but actual positions that afford youth who do not follow traditional educational paths to have stability and know that there is room for them and their personal growth. I want youth/my peers to feel like it is actually possible to find a decent job and that once they have a job that they are not just disposable. NM: As a young person, has anything made it difficult to do your work? RL: There’s many things that make it difficult to do my work. Money is the biggest one. Because I don’t have a lot of money, I can’t book spaces to hold events that I would like to do, or pay artists the way I want to. Lack of experience is another thing that makes it difficult to do this work because I don’t necessarily have quite everything under my belt that would lead me to doing more of the work I want to do. NL: When I am seen as not experienced enough to have anything worthwhile to contribute. NM: What has supported your growth as a leader, or helped you to do your work? RL: My bosses Irina and De’Arreon have been big supports to for the work we do for Youthprise. Support from adults or just others who have more experience in the field has helped. As well as the general belief in me as a person from my support network has been amazing and inspires me to keep doing what I do. NL: The support from my loved ones, peers, and my community who constantly validate me and the work I do as well as challenge me to strive for more. NM: Do you have any advice for organizations or policy makers about how they can best support young people? RL: My best advice would be is to let young people be themselves, and support them financially and fairly. NL: My advice would be to shift their power back to young people. Stop telling young folks what you think they need before actually listening to them. Instead, ensure that their youth voices are heard and centered. Make sure you always have space for young people to be involved with processes and policies that affect them and their communities. Make things more participatory. Compensate young folks for any time/work you ask of them! NM: Any advice for young folks who are interested in making change in their communities? RL: Don’t be afraid to be radical. Change only comes from those who stray away from the norm. NL: I would say to just go for it. Take those chances on yourself! We have way more influence and power than a lot of folks want you to believe. You might as well try it out, and if it does not work, that is okay! At least you learned that firsthand rather than letting others stop you.